Product prices and availability are accurate as of 2019-03-23 08:53:06 EDT and are subject to change. Any price and availability information displayed on http://www.amazon.com/ at the time of purchase will apply to the purchase of this product. 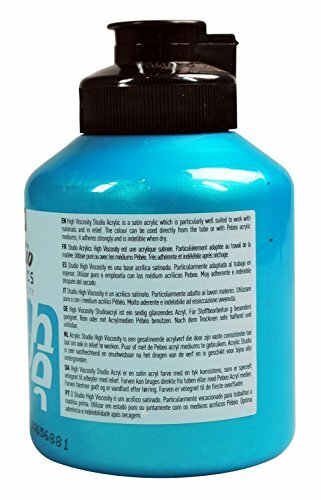 Studio Acrylics High Viscosity is a fine acrylic offering vivid and deep, richly pigmented colors with a matt, satin finish. Its thick consistency is particularly suited to work in dimension. When applied in thickness, colors retain the imprint of the brush stroke or painting knife. They can be used alone, mixed together, or combined with Studio Acrylics mediums depending on the desired effect. 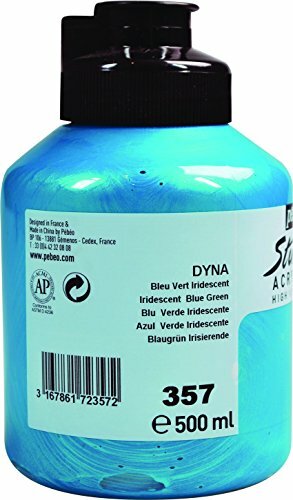 Very adherent and indelible once dry, Studio Acrylics is suitable for most surfaces and ideal for Mixed Media techniques and working in layers. Dry applications offer a permanent and flexible paint film, with good lightfastness. 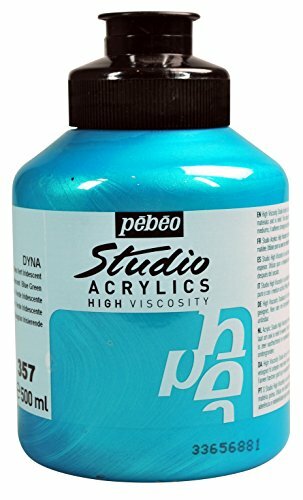 Studio Acrylics High Viscosity is available in 100 ml tubes in 62 colors, of which 5 Metallic, 7 Dyna, and 3 Fluo colors. In addition, 50 selected colors are offered in 250 ml tubes and 59 selected colors are offered in 500 ml jars. AP certified.